SCVHistory.com LW2454 | Sand Canyon | Parcel Map: Ace Cain's & VFW Post 6885 (Former Location). 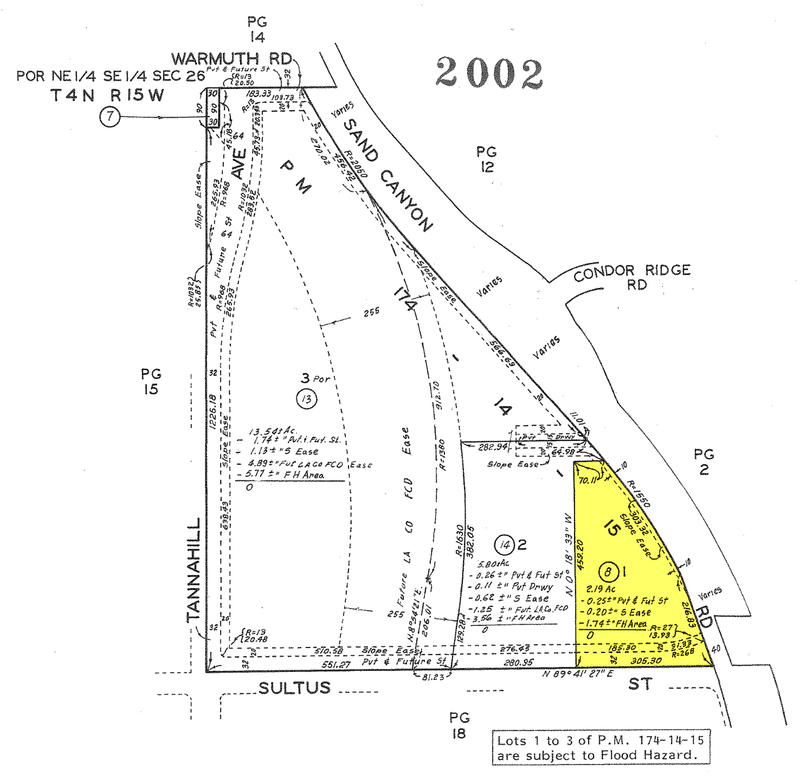 Parcel map (Los Angeles County Assessor, 2002) showing, in yellow, the location of Ace Cain's 1950s-1960s Rocky Springs Country Club, which later became VFW Post 6885 — until 1993, when the VFW relocated and the original 1953 structure was converted into private home. LW2454: 9600 dpi jpeg from digital file (Assessor website).